UBIO Price Comparison. Own the end-to-end customer journey. Customers are more likely to buy where they compare. Our Robotic Transaction Automation powers your end-to-end customer journey – for any product you offer, be that insurance, loans, mortgages, switching, broadband and more. Your customers are treated to your brand experience right through to payment and can switch or buy in a few taps. 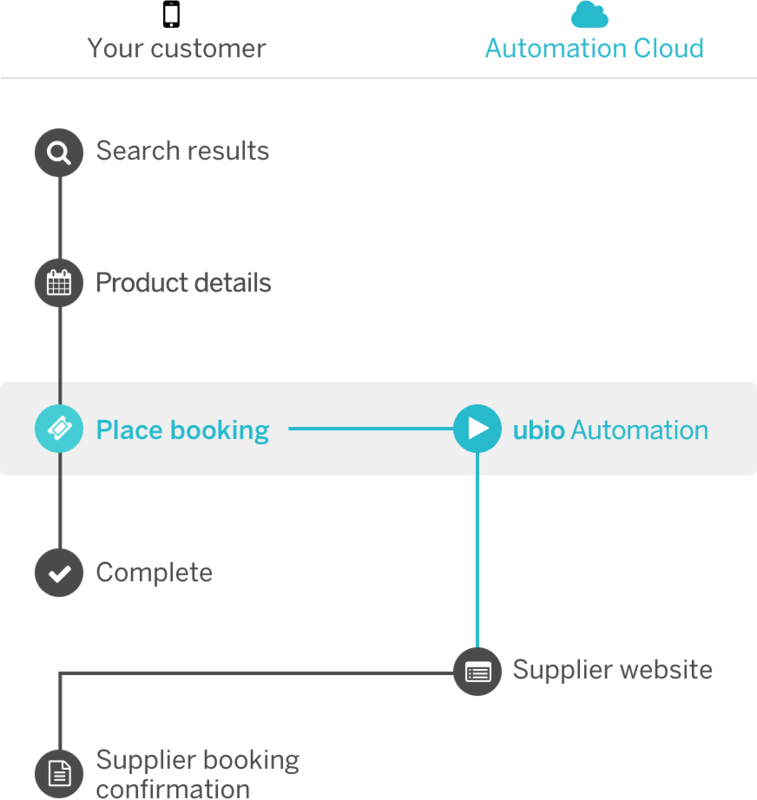 With UBIO's Robotic Transaction Automation technology your customers can buy the product they want directly from any of your suppliers without leaving your app or site. They can cover their car or home, take out a mortgage or a loan or switch supplier directly from your property. And they can select all up-sell and other options along the way. We can work with any supplier you direct us to, by either automating the full website experience or interacting with their API. You get one, standardised interface for all suppliers. You design the full transactional flow so your customers have your consistent experience no matther the deal they choose. We automate the full flow including payment and have fully secure systems. Our payment Vault is PCI-DSS compliant and we know and understand your legal and financial responsibilities. We can supply all the small-text and detail to ensure you and your supplier remain compliant. Supplier websites often present disjointed and sub-optimal purchase experiences. We also know that often your customers are buying out of necessity rahter than desire, so ease of completion is an essential differentiator. On mobile in particular your customers struggle to complete their purchase. Even on well designed mobile-first supplier sites the experience is often onerous. UBIO Price Comparison means customers stay on your website or app in your own, full payment funnel. You’re in control of optimising the experience on your property for booking anywhere. And you can take advantage of user profiles and saved payment information to make pain-free single-tap purchases possible, driving brand loyalty and customer retention. buying directly with the supplier themselves. This means happier customers and much better conversion. 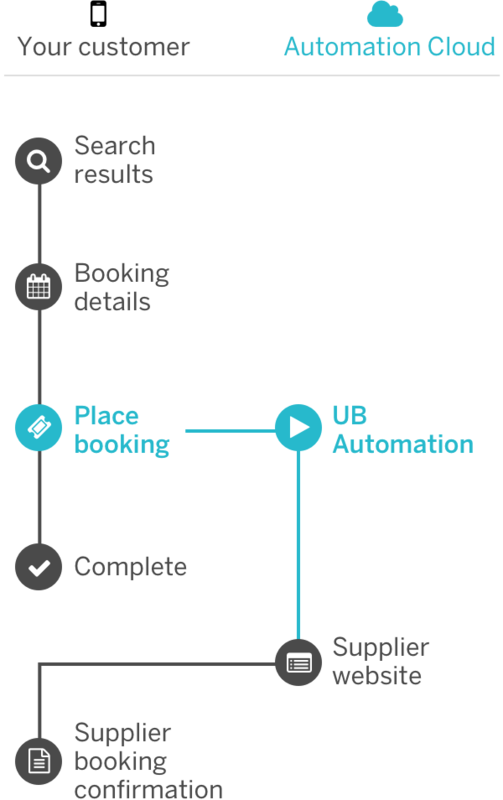 A complete and unified customer journey is an essential feature of the modern price comparison experience. UBIO can start working with your comparison service today. If you’re an insurer, telco or financial institution we can provide access to key customer marketplaces. Our platform provides an API for PCWs and other marketplaces to integrate even if you don’t provide one. With UBIO you’ll be able to benefit from increased conversion rates from your partners, with no work required on your side. We also provide visibility into the user journey via our dashboard which gives you real-time updates and enables you to optimise your sales funnel. Crucially, we’re compliance-aware and understand the regulated marketplace. Offering your customers an integrated, end-to-end buying experience leads to less purchase and payment friction and greater conversion rates. UBIO is PCI-DSS compliant. All data is encrypted and secure. Integration is simple with limited and consistent API endpoints. We have guided documentation which has been tested with dev teams to get you on-board quickly. We automate transactions on any supplier. This means there are no costly supplier or legacy distribution APIs to integrate. We cover that. You’ll gain full visibility on the booking funnel. We give you remarketing opportunities beyond search. 100% compatible with your existing attribution arrangements, our platform correctly attributes transactions without any code changes. Because we buy using your customers’ data the supplier has full insight into the purchase and remain merchant of record. Direct booking is the future of metasearch. We power direct booking today, without limitations – for air and ground travel, hotels, car hire and insurance – with no dependency on traditional distribution systems. UBIO technology allows you to control the end-to-end customer experience. Your customers stay on your property for the full transaction. You build an experience for booking as beautiful as you already do for search. This results in much improved conversion. We can automate any online process. Beyond travel we have experience in retail, ticketing and banking/ wallets. If you have an application that would benefit from ubio automation we’ll happily see if we can help.